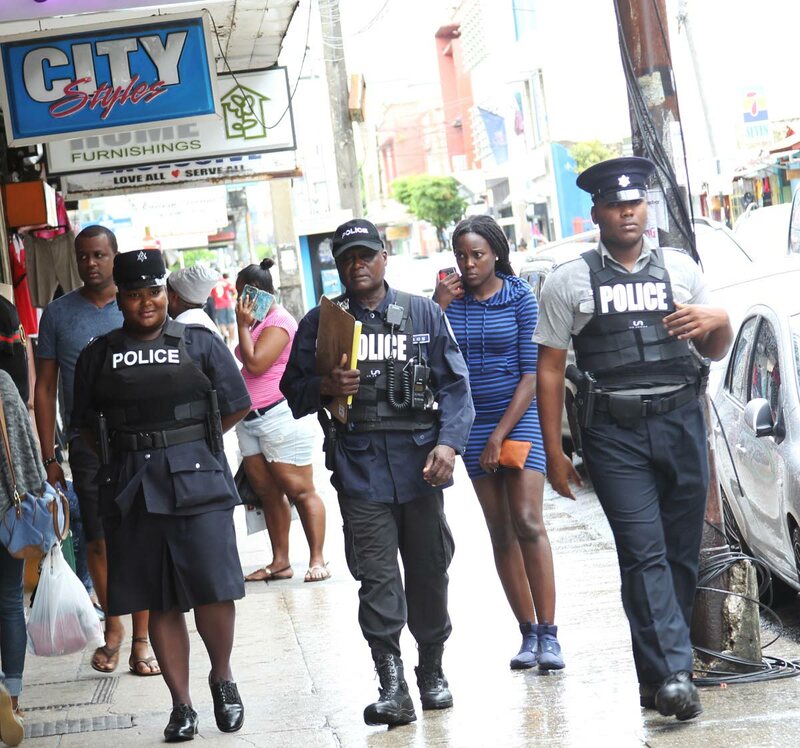 File photo: Police patrol the streets of Port of Spain during the Christmas shopping season. PHOTO BY RATTAN JADOO. THE Port of Spain Division of the TT Police Service said it will be taking a zero tolerance approach to crime, during the Christmas season. Robberies sometimes increase during the Christmas season as shoppers flock to Port of Spain, especially on Charlotte Street. Randall McGuirk, acting inspector of the Port of Spain Division, warned shoppers to pay attention at a police briefing, Wednesday. "Members of the public are advised to be extra vigilant of their surroundings during this period, especially as we expect an increase in activities including shopping as we are in the Christmas season. Persons are advised to secure their personal property and desist from exposing large sums of cash when conducting business," McGuirk said. He said that the TTPS will try to ensure everyone is safe in Port of Spain. "Police officers, both in uniform and plain clothes, will continue to be alert and vigilant as they patrol the division during the season. A zero tolerance approach to crime and criminal conduct will be observed by police personnel," McGuirk said. Reply to "TTPS: Zero tolerance approach for Christmas"